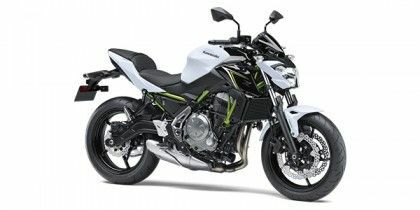 Kawasaki Z650 price in Bangalore starts from Rs. 5.69 lakh (Ex-showroom). Z650 is available in only 1 variant. Kawasaki Z650's top competitors are Benelli TNT 600 i (price starting at Rs. 6.20 lakh in Bangalore) and Kawasaki Ninja 400 (price starting at Rs. 4.99 lakh in Bangalore). Share your experiences with Z650?